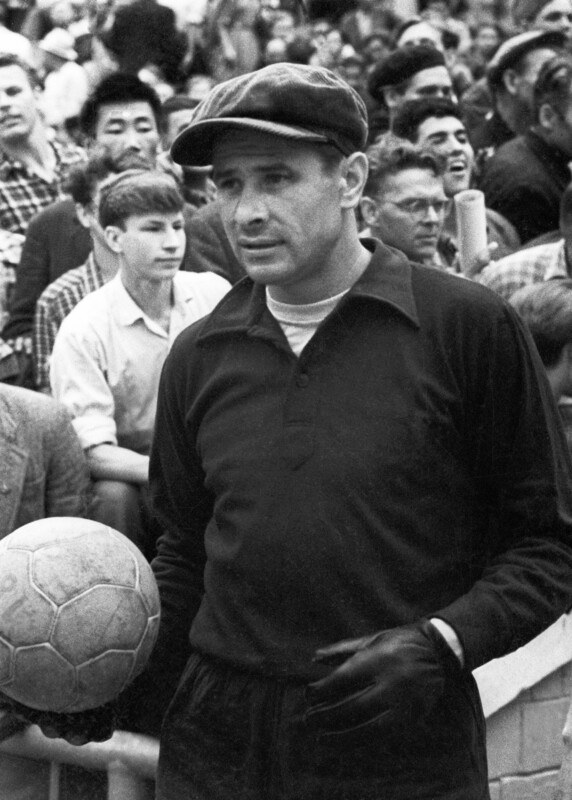 Lev Yashin (1929 - 1990), the best goalkeeper of the 20th century, portrayed during a play. As the 2018 FIFA World Cup Russia™ approaches, the country’s footballing history is being remembered. 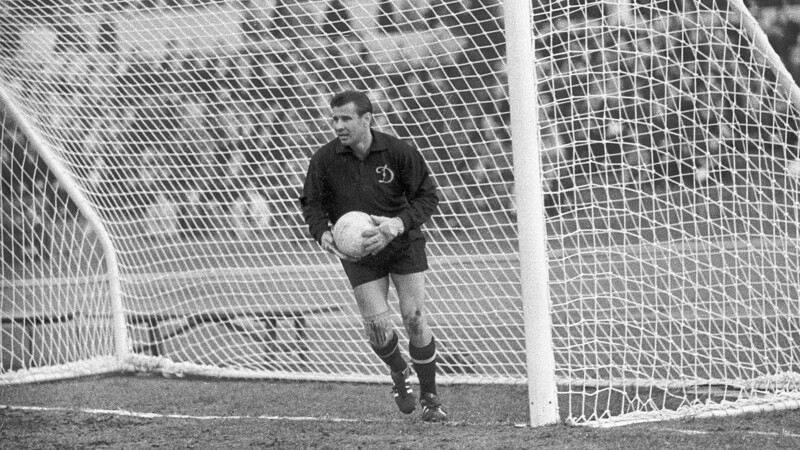 Russia Beyond looks back at one of the world’s finest keepers Lev Yashin (1929 – 1990). In football usually strikers and midfielders win the most plaudits but Yashin broke the pattern. In 1963, he won the Ballon d’Or – the most prestigious individual trophy in the sport, and ever since he remains the only goalkeeper to have won this award. Experts from both FIFA and IFFHS (International Federation of Football History and Statistics) named Yashin the best keeper of the 20th century. Yashin playing for Dynamo Moscow, his one and only club in the career. Yashin had to earn it the hard way. Born into a family of a Moscow locksmith in 1929, the future legend was 11 when the war with Germany began – he worked unloading trains in Ulyanovsk (876 km east of Moscow) and then followed in his father’s footsteps as a locksmith. Even after rising to fame while playing in international tournaments for the USSR, Yashin still thought of himself as a worker. “I need to touch the ball before a game just as a carpenter touches his wooden board before starting his work. It’s a working-class habit,” he once said in an interview. Nevertheless, Yashin never envied footballers playing from rich Western clubs, saying: “I couldn’t imagine living anywhere outside Russia.” He was incredibly loyal to his club – Dynamo Moscow – spending his whole professional career there, which lasted for 20 years (1950 – 1970). However, it took the youngster from working districts several years to break into the senior squad. 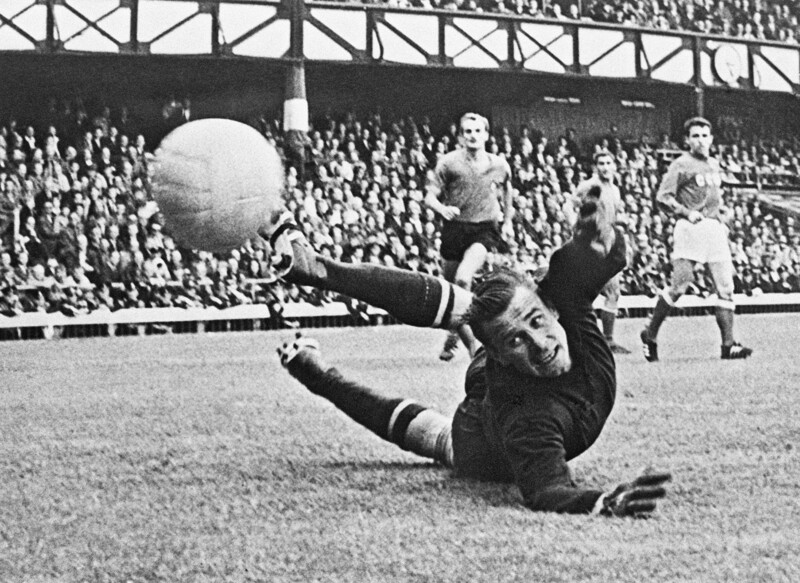 He became Dynamo’s number one keeper in 1953, going on to win five USSR championships and three USSR cups. As his wife Valentina recalled, “He never asked for any bonuses from the bosses, he was very shy. Always hesitating: ‘Am I supposed to have this? What if not?’” His modesty made him even more popular. Yashin was famous for his acrobatic skills and reaction, as well as changing the pattern of goalkeeper's play. 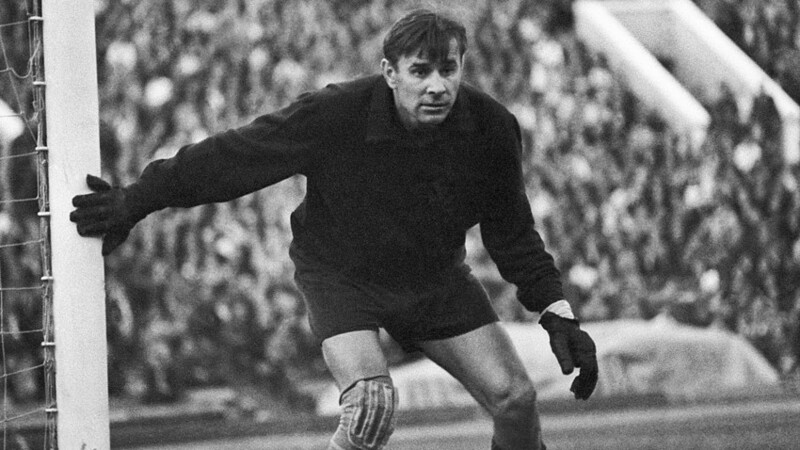 Yashin was an innovator – he was one of the first “sweeper” goalkeepers. Nowadays, it’s normal – many goalkeepers, including Germany’s brilliant Manuel Neuer, play this way. Back in the 1950s his was branded a “circus” for his style of play. But it was the future. “Yashin, like many players whose game became a revelation for everyone, broke the common rules because they didn’t let him reveal his potential,” Mikhail Yakushin, Yashin’s first coach in Dynamo, wrote in his memoirs. “And it widened our team’s tactical potential.” The goalkeeper finished 160 of his 326 matches in the USSR championship with clean sheets. With his hat and dark outfit, Yashin was an extremely stylish player back in the Soviet era. Yashin made sure he looked the part. Always dressed in a dark uniform from head to toe, he was nicknamed “Black Spider” for his flexibility and acrobatic skills. He also played in his iconic hat: “It’s my talisman, I always put it on,” he used to say. Another, not so healthy part of Yashin’s image – cigarettes. “I’m a smoker, I know it’s a bad pattern to follow. I can smoke half of a pack in a day,” the goalkeeper confessed. Coaches tolerated it as Yashin’s habit did not appear to affect his performance. But it did damage his health and led to his leg being amputated due to artery damage in 1984. Six years later, he died. The best goalkeepers, especially Russian ones, compare themselves to Yashin – and admit that his record is hard to surpass. “I’ll be happy if I can get to be anywhere near his level,” Igor Akinfeev, current number one of the Russian national team, said in November 2017, when Yashin appeared on the official poster of 2018 FIFA World Cup Russia™. Nowadays, Russian national team is far from being on top – as it used to be in Yashin’s time. But this isn’t about bad players. Want to know the real reason? Read our article.